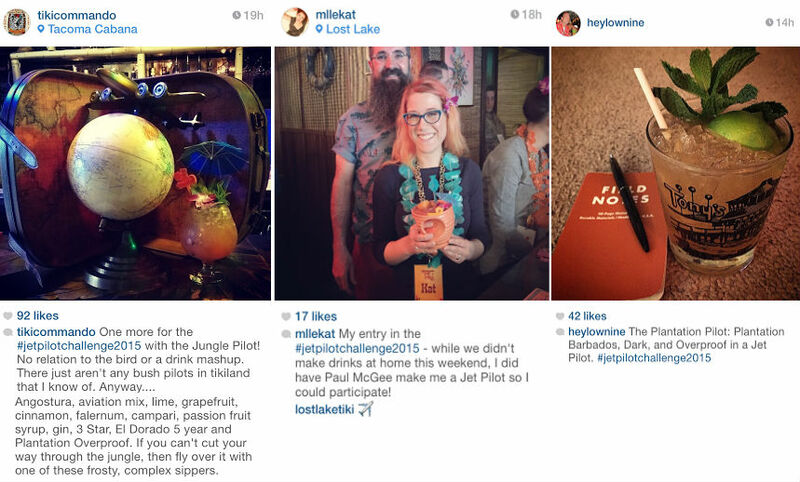 2015 RumXP Tasting Competition Awards Announced! The RumXP International Rum Expert Tasting Panel convenes once a year to evaluate a wide range of cane spirits from all over the globe. 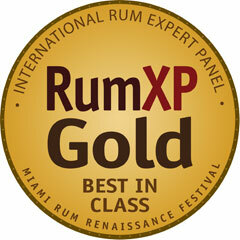 RumXP judges are experienced evaluators of rum spirits from many countries, offering expert guidance in their selections of outstanding rum products. 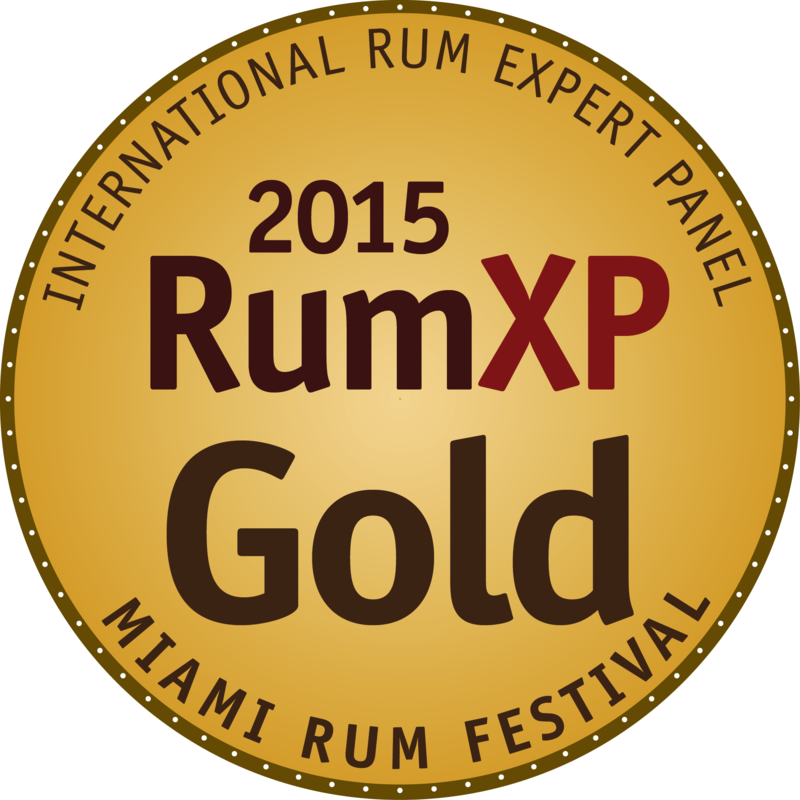 The RumXP International Rum Expert Tasting Panel is pleased to announce results of the 2015 RumXP International Tasting Competition held at the Miami Rum Renaissance Festival from April 14 to 16, 2015. Twelve members of the International Rum Expert Panel and five guest judges participated in six tasting sessions of 14 categories with 127 of the finest rums from around the world presented for evaluation this year. The RumXPs were sequestered in their tasting room for three days of blind tasting trials. 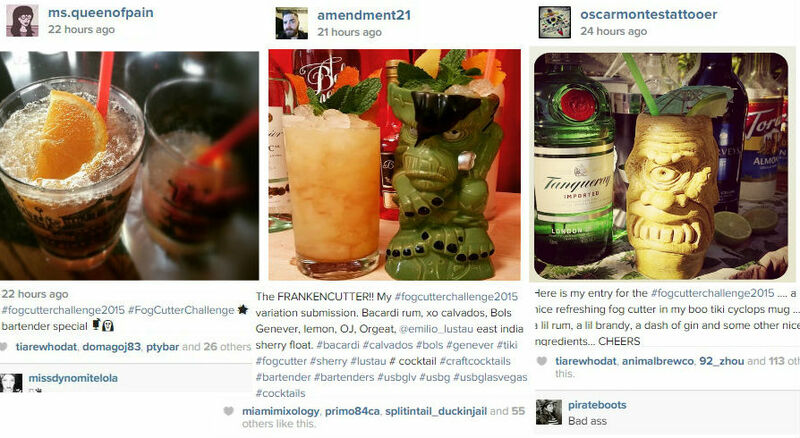 The rums were grouped and judged in categories according to their style. 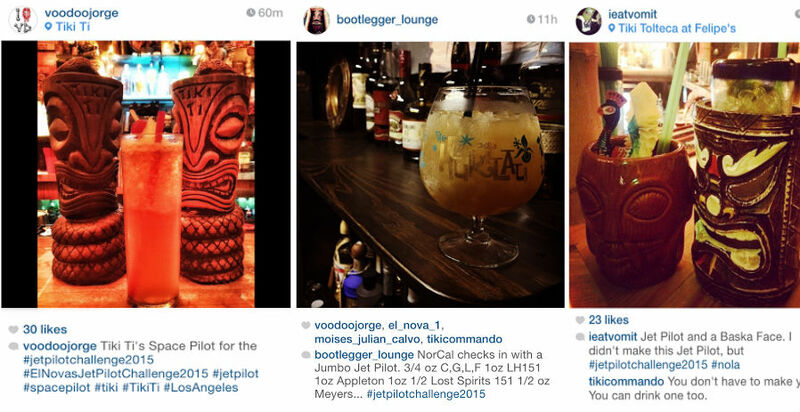 2015 RumXP judges include Dirk Becker of Germany, Javier Herrera of Spain, Leonardo Pinto of Italy, Bernhard Schäfer of Germany, Forrest Cokely of California, Tatu Kaarlas of Australia, “Bahama Bob” Leonard of Key West, Paul Senft of Georgia, Juan del Busto of Miami, John Gibbons of Sweden, Rene van Hoven of Holland and Ingvar Thomsen of Denmark. Guest Judges include Marie King of California, Johnny Drejer of Denmark, Suzanne Long of California, Mark Theron of St. Kitts and Nevis, and Alexander Brittel of Miami. 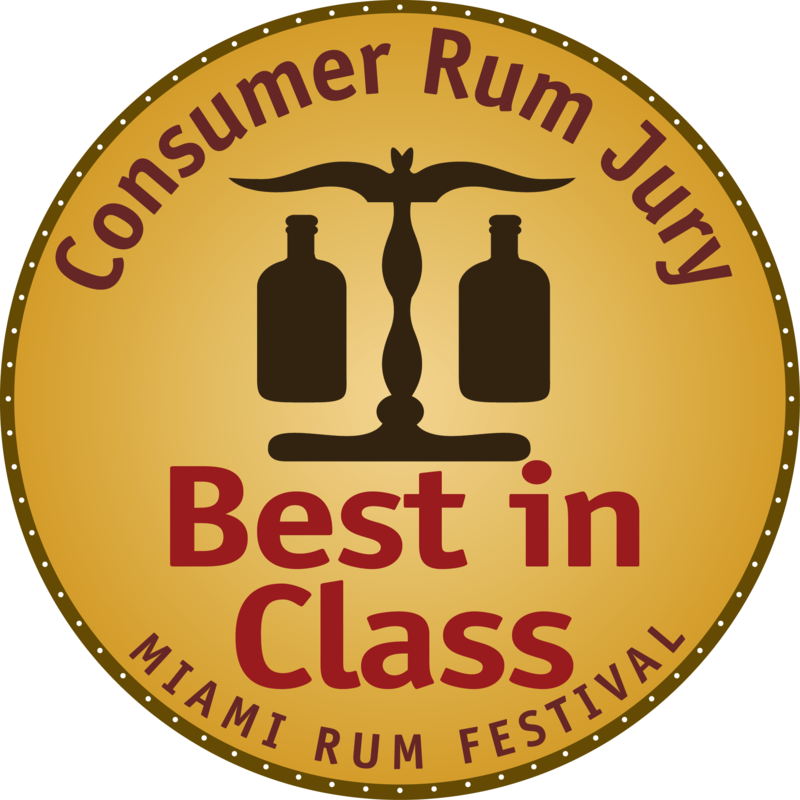 For 2015, a new edition of the competition was introduced: The Consumer Rum Jury was comprised of 20 enthusiastic rum collectors and experienced consumers, offering the perspective of the active and engaged rum buyer in their evaluations. Not new….but quite resently released in this country anyway – the wonderful Doorly`s XO…. 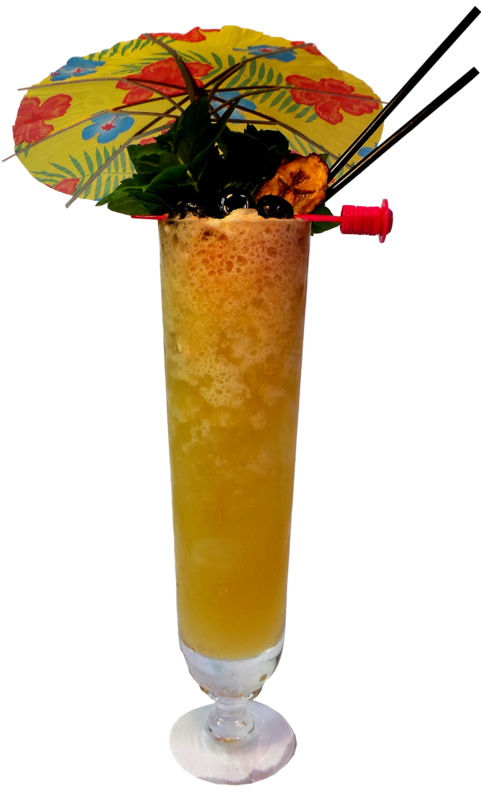 Doorly`s XO is produced by R. L. Seale & Co. Ltd and distilled at the Four Square Distillery in Barbados which are located on the site of an old plantation dating back to the early 1600s and they are the makers of a whole range of famous rums such as RL Seale, Doorly`s, Rum Sixty Six, Old Brigand and John Taylor’s Velvet Falernum as well as creating rums for other brands for example Real McCoy and all the rums at St Nicholas Abbey except for their newest five year old expression. Reginald Leon Seale (R.L.Seale) founded the company in 1926 and Master Distiller Richard Seale is a rum maker in the fourth generation. 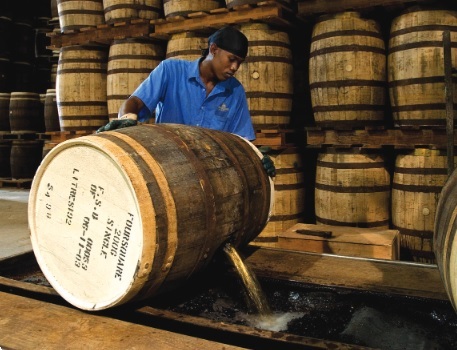 The Foursquare Rum Distillery in Barbados is wholly owned by the Seale family and is thus one of the few remaining independent producers in the Caribbean. The Chairman of the company is Sir David Seale, while the whole site is now managed by his son, Mr.Richard Seale. Set in eight acres and beautifully landscaped, the distillery occupies the site of a former sugar factory that dates back to 1636. 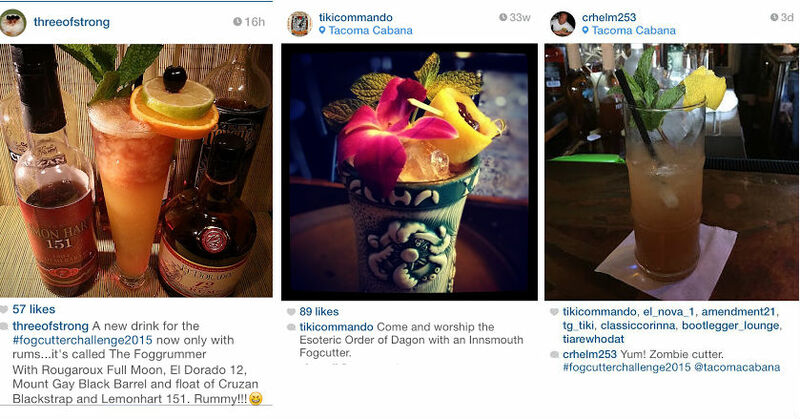 Foursquare is interesting also because of how they use green technology which is used in their rum making in every single step, for example the carbon dioxide created during fermentation is captured and then sold to a local gas company and everything from the rum making process is taken care of in order to reduce the impact of the environment as much as possibly can be done. 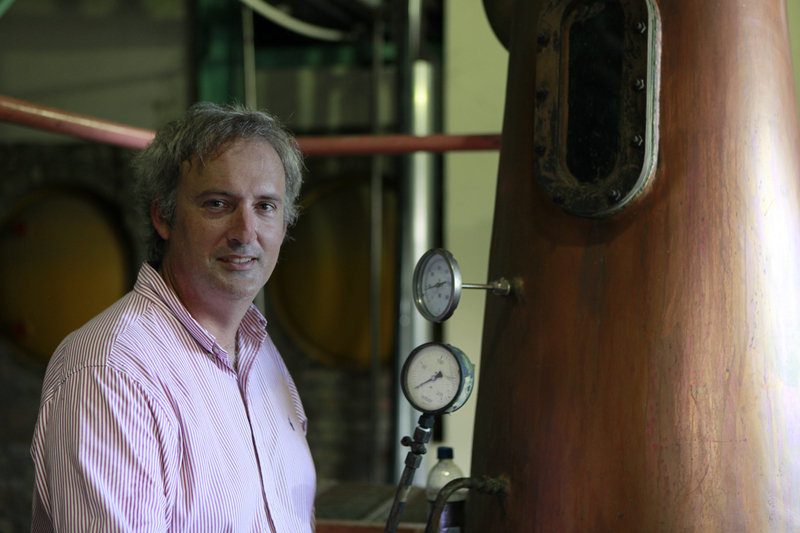 For example, the Foursquare Rum Distillery has been designed not only to be highly energy efficient but environmentally friendly as well and stillages from distillation are reduced in volume by evaporation process up to one seventh of the initial volume. Multiple effect evaporation is applied to reduce the steam consumption. Condensate recovered from evaporation is a transparent and clear liquid which may be recycled to the molasses dilution or disposed without any problem. Concentrated stillages at 55–60 % solids can then be reused as additive for fertilisers or animal feed. More than 40 % of the carbondioxide given off during the fermenting process is captured and while other distilleries release this gas to the atmosphere,here it is cleaned, liquefied and stocked in bottles. The CO2 is then sold to soft drinks manufacturers to add fizz to their products. That`s amazing! 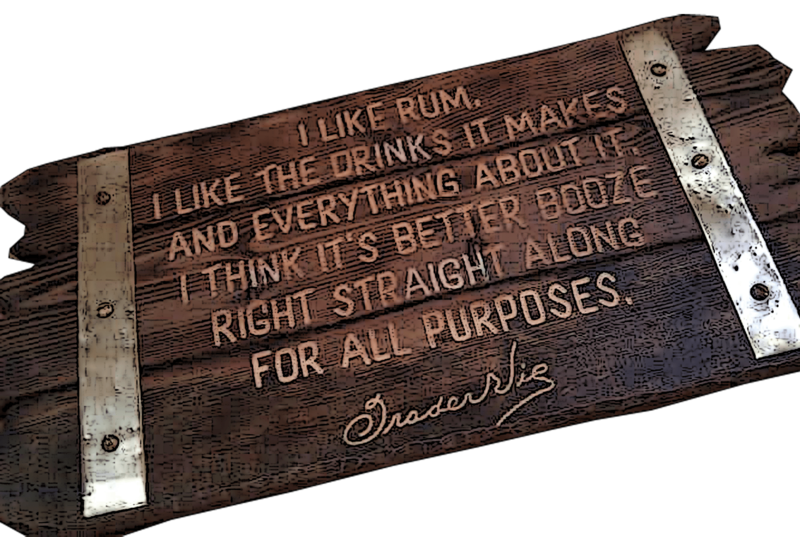 I`d love to go there and see the whole distillery and all their processes (not to mention tasting the rums) for myself and one day I hope will be able to do that. As is worldwide known, the distillery produces many notable rums including ESA Field, Doorly’s, Old Brigand, Tommy Bahama and the Foursquare Spiced Rum. 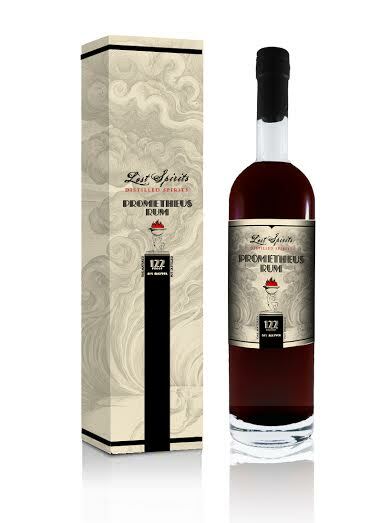 This rum has won medals at top Wine and Spirits competitions in the USA and Europe and has also been rated as the best-tasting flavoured rum in the world by the prestigious Beverage Tasting Institute Inc.of Chicago. ESA Field and Old Brigand dominate the domestic market and the distillery submitted 12 different rums to the International Wine & Spirits competition in London in 2010 and returned with 12 medals including three Best in Class. 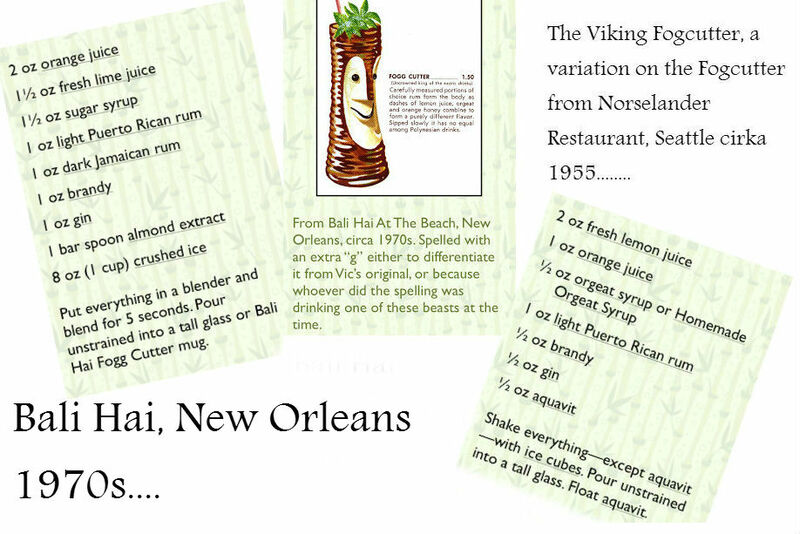 The Foursquare site itself has a long history in sugar, rum and molasses for over 350 years. To the north of the estate is the old‘ still house’, a building with a designation by the National Trust as a property of Historical and Architectural Interest. It is possibly the oldest building in Barbados we can safely identify as a home to rumproduction in the 17 th century. Besides the distillery, which is housed in the renovated buildings of the old factory, the property has high historical, educational and architectural values: the sugar machinery museum, where you can see the open – air display of original machinery from the old sugar factory. The distillery as it exists today was commissioned in 1996 by Green Engineering, which was chosen as main contractor of the process design and construction of the production facilities.The factory, R.L.Seale, rum blenders since 1909, at that time decided to stop the purchasing of rum from the other distilleries of the island and to produce themselves the spirit upon which their success as blenders was based. The operation appeared quite difficult and the old distillers and blenders that would have judged the final product were of course quite sceptical about the new technologies introduced by Green Engineering. Moreover,the spirit produced would have to be incorporated into the ’innersecrets’ of the established rum recipes without affecting the expectations of the consumers for whom the quality and the flavour, despite the new technologies, should have remained the same (or, better, improved). The goal of joining tradition and modern technology, old recipes and fine spirit quality was successfully achieved. The copper pot still (on the left) and the continous stills. 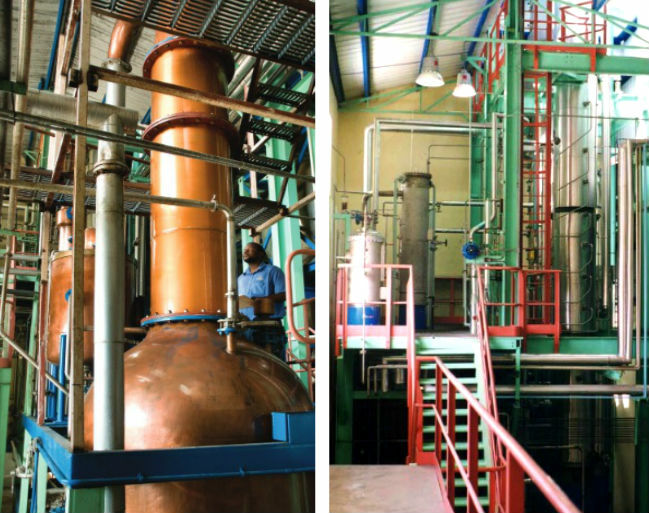 Foursquare controls the entire production cycle: from the selection of the highest quality molasses to the fermentation and distillation,up to the final blending.For a very high quality rum production R.L.Seale has installed a fresh juice extraction line from cane molasses. Total fermentation time at Foursquare is about 44 hours.This is slower than typical molasses fermentation and leads to better control.The yield is of more than 360 litres of pure alcohol per ton of molasses at 60% of fermentable sugar. 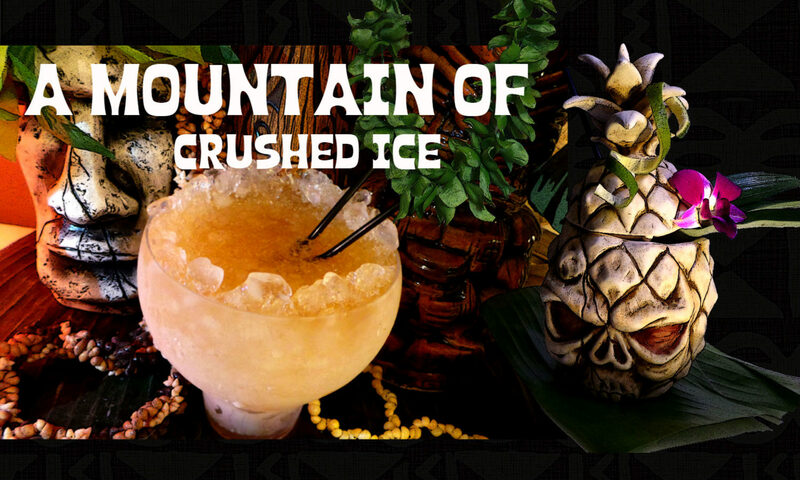 The yeast is imported from South Africa and was selected for the flavour profile of the rum that is produced. Since fermentation is of critical importance to the realisation of a superior quality rum, R.L.Seale and Green Engineering have a continuous research programme to assure that the best thermo dynamic conditions and the best organic nutrients are used during this stage. In particular, since 2010 a new fully organic recipe has been developed for the yeast, following the idea that organic nutrients have an unmatchable assimilation grade if compared with standard chemical nutrients. 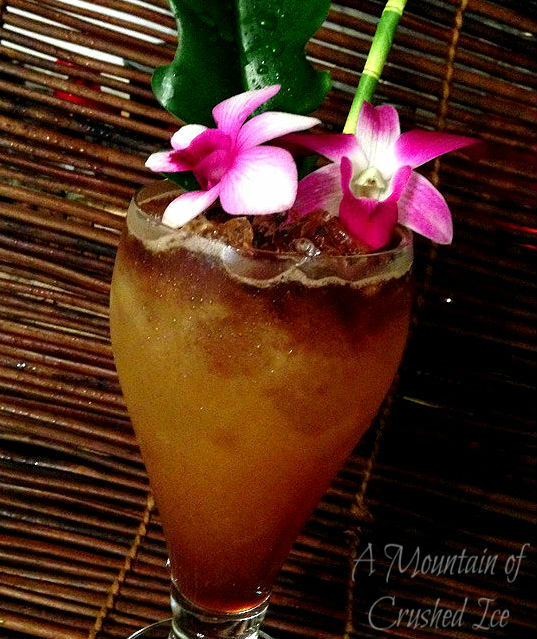 At Foursquare each of the rums is made using a blend of rums from both column and pot distillation methods. The pot still gives the rum greater complexity and depth of flavour.The column still allows the final blend to have a much better balanced aroma and taste. From the still, the freshly distilled rum is moved to cask. Rum is traditionally matured in barrels from Kentucky made of American white oak that have been formerly used to mature bourbon.This is a synergistic relationship with the Kentucky distillers as Bourbon need new oak while rum is best matured in wood that has a degree of seasoning. Most rum from Foursquare is aged in this way. However, some of the signature blends coming from the distillery have also been matured in sherry casks of Spanish oak, Madeira casks of American oak and Brandy casks of French oak. Due to the climate in the Caribbean, the rate of maturation is much faster than in Northern climates (tropical ageing) and rum, after five years, will have the same maturity as a spirit aged in Europe for about 10–12 years. 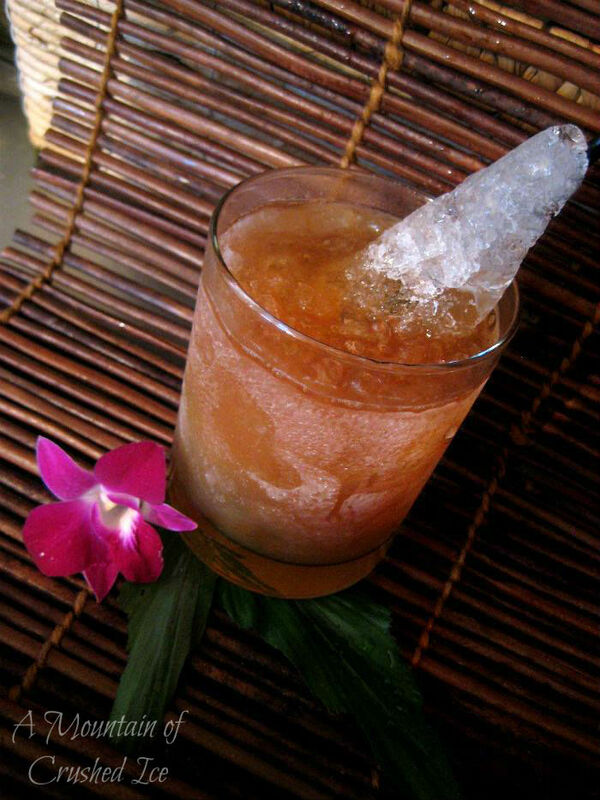 The warm climate in Barbados in particular is ideal for making rum–the humidity moderate and most importantly the temperature is very stable all year long. 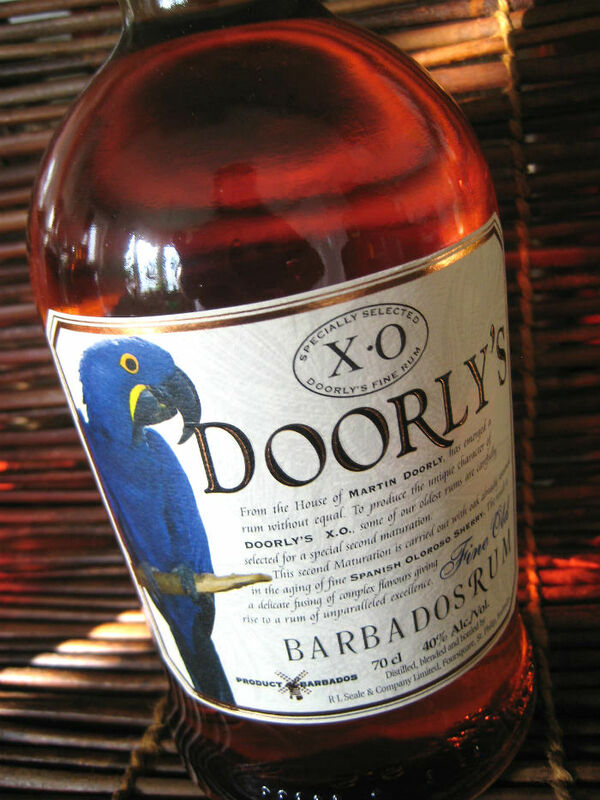 The rum in my hands, Doorly`s XO (40% ABV) is a blend of rums that has been aged probably somewhere between 6-10 years (no age statement on the bottle) in American oak barrels and finished in Oloroso sherry casks. 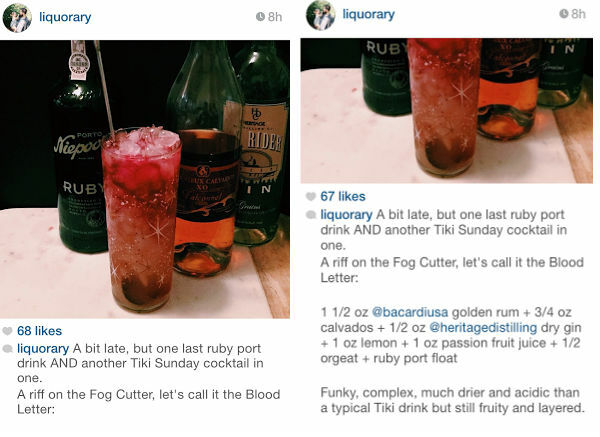 “From the house of Martin Doorly, has emerged a rum without equal. To produce the unique character of Doorly’s X.O., some of the oldest rums are carefully selected for a special second maturation. 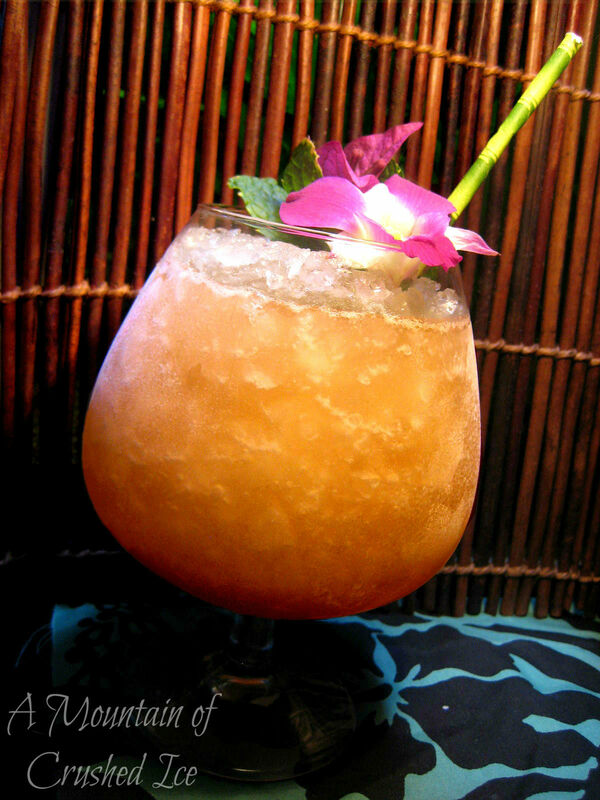 Color and nose: The color of the rum is a lively rich amber and the nose is fruity with prunes, toffee, apricot, banana and orange peel. 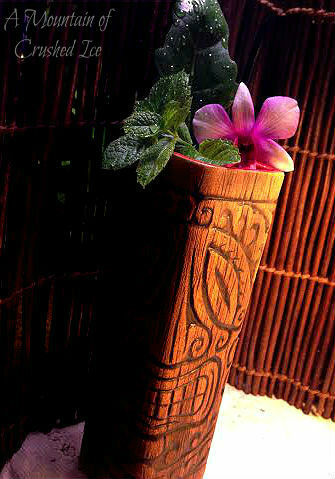 I get whiffs of tropical fruit…it`s a pleasant exquisite nose – I can sit and just smell this nose again and again. I didn`t take this time to do this before and I`m happy I did now. In the mouth: Vibrant…..vibrant and fruity. Caramel and tropical fruit mingles together with hints of orange and apricot marmalade, dried dates, golden raisin and just a dust of wood…it´s balanced and refined, elegant with hints of spicy oakiness. 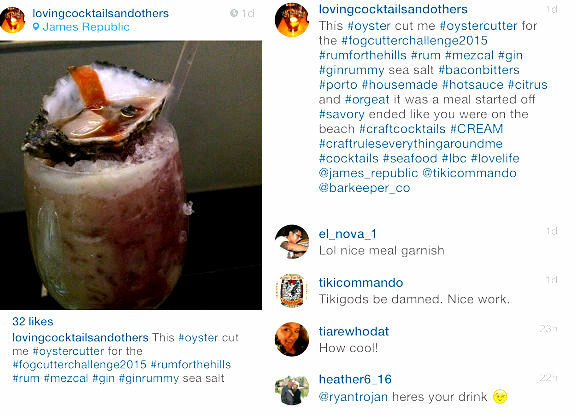 Final thoughts: You get a lot of very good rum for the money! 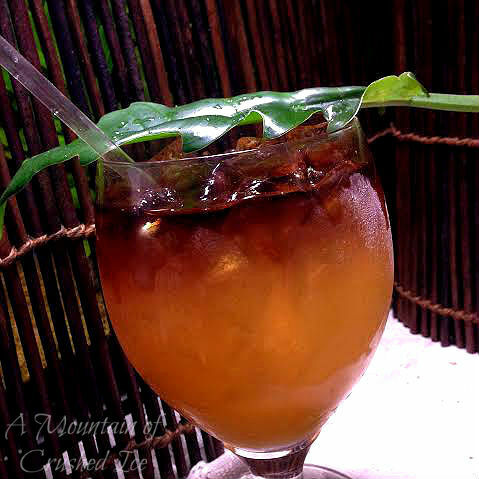 it´s a great sipper but also a great mixer so it´s versatile, a great all-round rum of excellent quality. 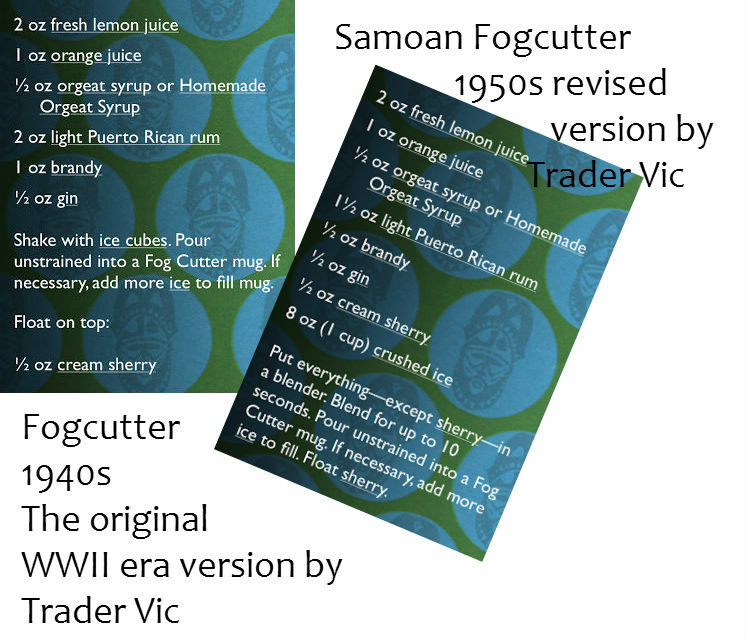 If you buy a bottle of this you won`t be sorry 🙂 and oh….it makes a very tasty classic Daiquiri and equally tasty Mai Tai! 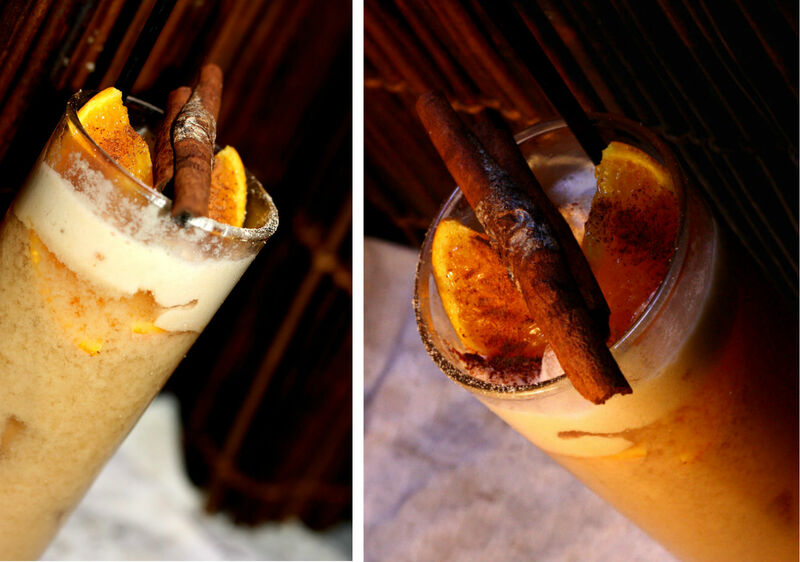 Shake with ice and strain into a tall glass filled with ice cubes and garnish with 2 orange wedges and a short cinnamon stick. 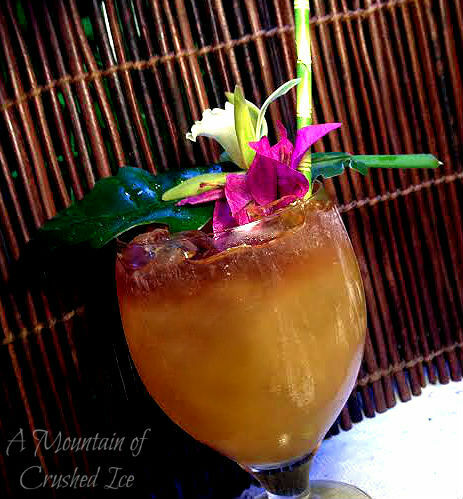 Next drink is also a tiki cocktail, it´s a twist of the “Tribute to The Mai-Kai’s Hidden Pearl” by The Atomic Grog. 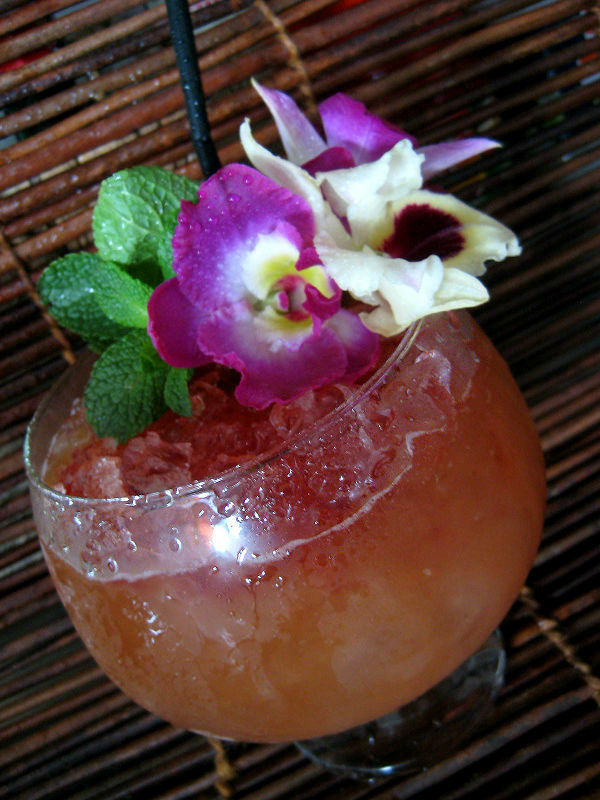 Shake all ingredients with ice and strain into a fancy glass and garnish with tropical orchids and mint. 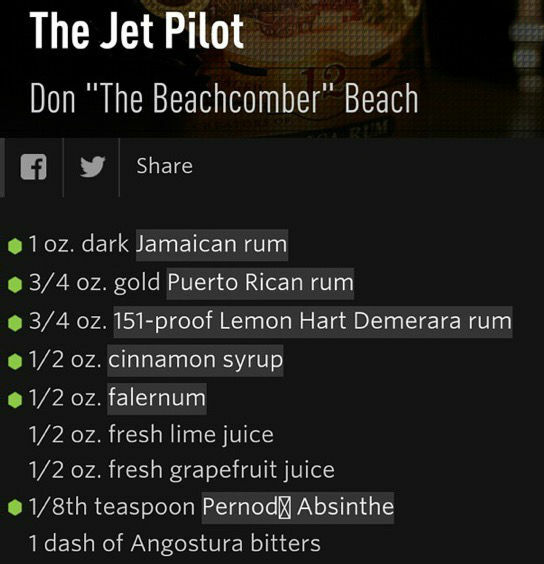 Dash the angostura bitters on top. 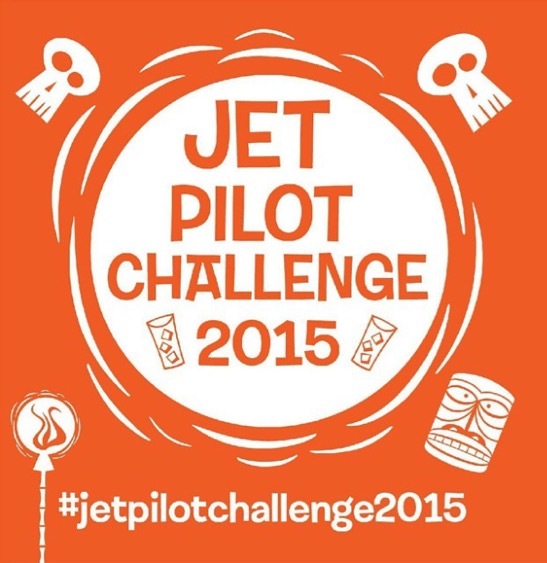 A Whole Range of Rums at the Upcoming Miami Rumfest! 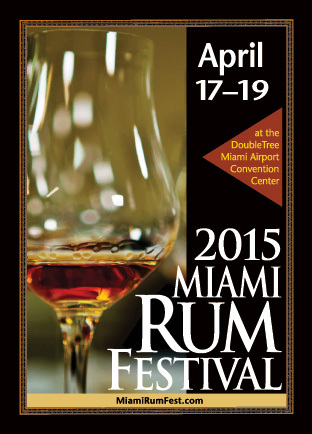 If you are planning to attend the Miami Rum Renaissance/Rumfest on april 17-19 you are in for a real rum TREAT! There are a lot of great news for this year. 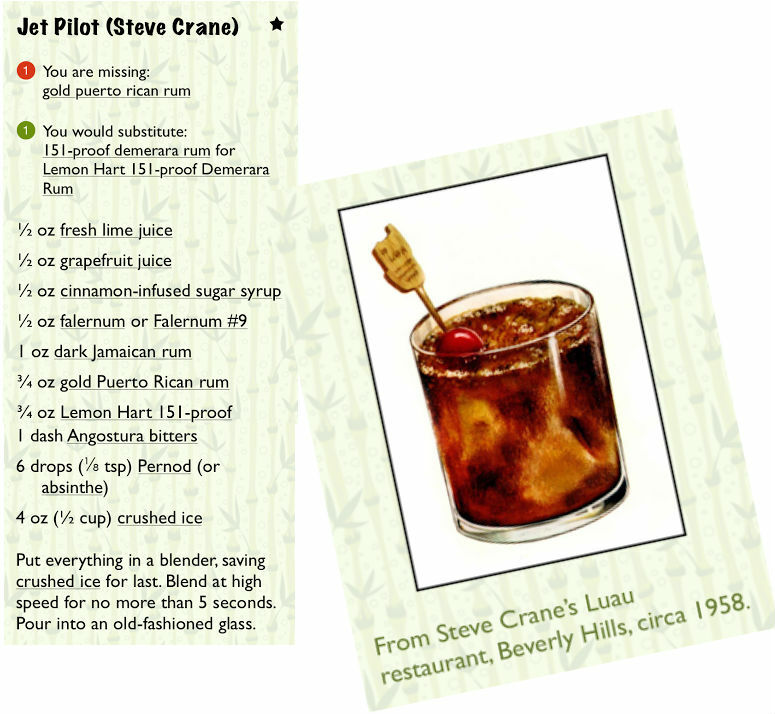 Here is a list of rums that will be debuting at the show. Many will be in the US for the FIRST TIME. 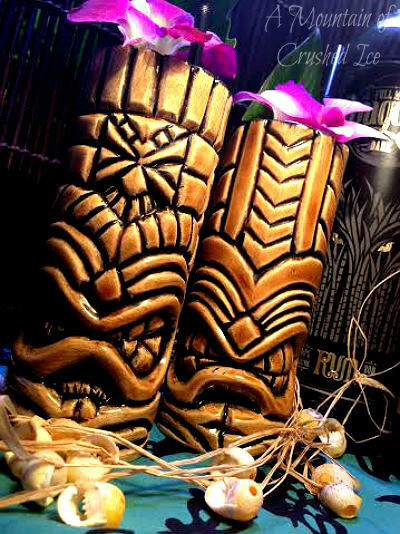 Others have expressions available, but these are NEW to the brand and will debut at Miami Rum Festival. 20 years in 6 days – the future of Aged spirits – California distillery unveils PROVEN disruptive new technology. LOUISVILLE – KY, Lost Spirits LLC – California based Lost Spirits has built a new type of chemical reactor capable of making aged spirits with a near identical chemical signature to 20 year old barrel aged products. The new reactors are compact, portable, and will be deployed to 5 distilleries in a beta-test this summer. Currently, there are several patents pending that cover their approach. While rapid aging of spirits is not a new idea, the Lost Spirits method is the first to accomplish a near identical chemical signature to a similar product aged conventionally for decades. The project has built on more than 5 years of research and investment to develop the approach that finally succeeded. 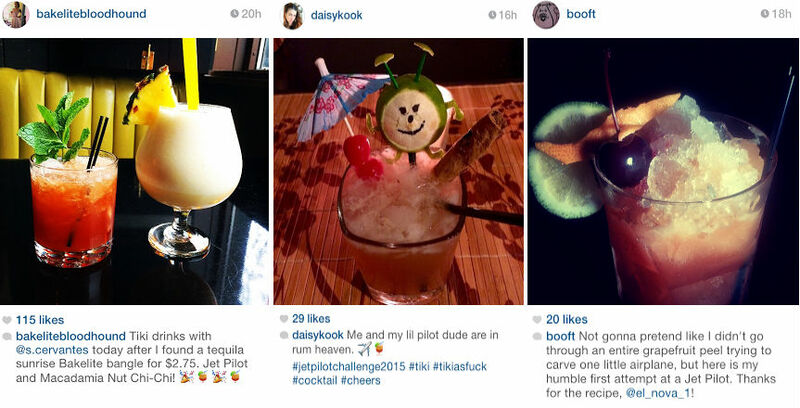 “The new technology will allow us to reshape the industry. As a consequence, expect prices to fall and quality to rise dramatically.” Said Bryan Davis the inventor of the new technology. After completing the beta-test cycle, the team anticipates being able to fabricate 50 reactors per year. Empirical evidence to support the claims was published this morning under the science heading at www.lostspirits.net. The results of the project were made public yesterday at the American Distilling Institute Conference, in Louisville KY. So Bryan took me through a presentation of this and as usual as is with his presentations it required your full concentration and was quite mind blowing…..
And no this is not an april fools joke…despite the date of the day. THE MODEL 1 IS A CHEMICAL REACTOR CAPABLE OF CONVERTING FRESHLY DISTILLED SPIRITS INTO WORLD CLASS PRODUCTS WITH THE SAME SMVO CHEMICAL PROFILE AS A 20 YEAR OLD PRODUCT – VERIFIED BY GC/MS (FORENSIC CHEMISTRY). THIS IS NOT SMALL BARRELS OR ULTRASOUND TRICKS. THIS IS THE THING WE HAVE ALL BEEN WAITING FOR. THE REACTOR RUNS USING ENERGY AND OAK. THERE ARE NO CHEMICALS ADDED TO THE SPIRIT. THE MODEL 1 IS PROVEN TO BIND THE VOC RANGE ESTERS. IT ALSO PARTLY DISINTEGRATES POLYMERS IN THE OAK RELEASING PHENOLIC ACIDS AND ALDEHYDES ALONG WITH ADDITIONAL CARBOXYLIC ACIDS. IT THEN ESTERIFIES THE FREE CARBOXYLIC ACIDS AND PHENOLIC ACIDS EXTRACTED FROM THE OAK, FORMING BOTH SHORT AND LONG CHAINED ESTERS. WHILE WE ARE PLAYING COY WITH EXACTLY HOW THE PATENT PENDING PROCESS WORKS, IT HAS BEEN SCIENTIFICALLY SHOWN TO MATCH THE CHEMICAL COMPOSITION OF TRADITIONALLY AGED SPIRITS, UP TO 20 YEARS IN AGE. IT DOES THIS BY FORCING ALL THE SAME REACTIONS TAKING PLACE IN THE BARREL IN THE CORRECT SEQUENCE – AN ACCOMPLISHMENT THAT HAS, TO OUR KNOWLEDGE, ELUDED INDUSTRY UNTIL NOW. Also they are soon releasing a new rum that is called Prometheus Rum – Promotheus was a Greek mythology figure who stole fire and technology and gave it to the humans and Prometheus stands for “Human Invention” – quite a fitting name right? According to Bryan the rum is 45% ABV something they haven`t released before since all of their rums have been high proof rums but there might be a higher proof single cask expression made of this rum as well. 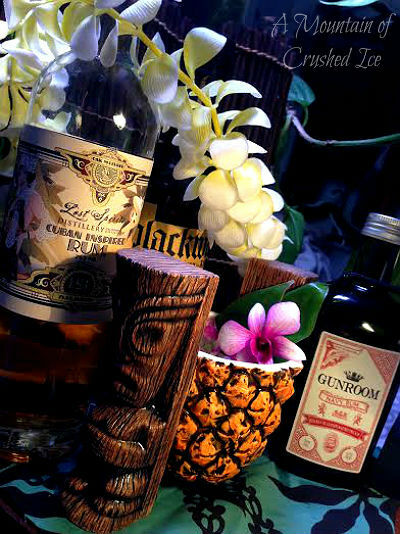 The Prometheus rum has a nose of barbequed caramel and it´s related to the Bounty Hunter rum (the Colonial Inspired) but with more taste notes of caramel and it´s also slightly sweeter. The espresso coffee notes from the Bounty Hunter is still there but less pronounced due to the lower proof. 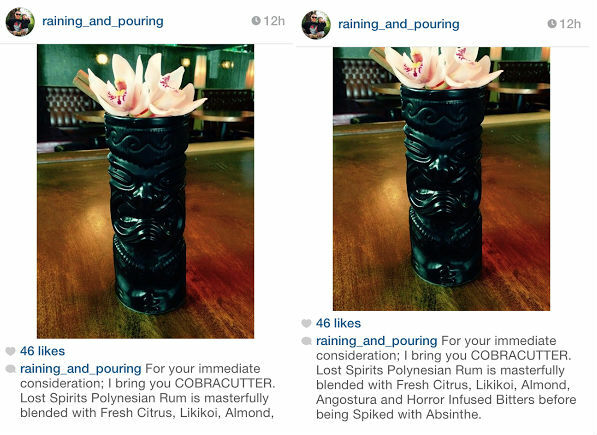 The Prometheus rum will debut at the Miami Rum Renaissance in April 2015. I`m really looking forward to try it (and especially the single cask if they make it) and then i`m looking forward with great interest to see what happens next……. Here`s the link to the Lost Spirits Distillery website where you can download a PDF document called “Model One White Paper” to read more.